As Stephen King’s It remake brings an all-new terror of clowns to a new generation of horror fans, news has been trickling out about the upcoming TV series based on King’s The Dark Tower book series that is in the works. According to Deadline, Glenn Mazzara has been confirmed as the showrunner for the upcoming series, which will be produced by Sony Pictures TV and MRC. The former showrunner of The Walking Dead and Damien will be in charge of expanding the Stephen King’s book series, which began on the big screen with The Dark Tower adaptation. Within the last few months, TV-show adaptations of King’s novels have popped up, including The Mist and Mr. Mercedes. Is too much Stephen King a good thing? The proposed storyline will be independent from the film, taking place much earlier than the movie’s events, possibly borrowing the shared universe model that Marvel has used with its Avengers and Agents of S.H.I.E.L.D. franchises. It seems the series will mostly follow Roland Deschain’s early life, as detailed in Book 4, Wizard and Glass, with elements of Book 1, The Gunslinger. But this is where things get a little confusing. 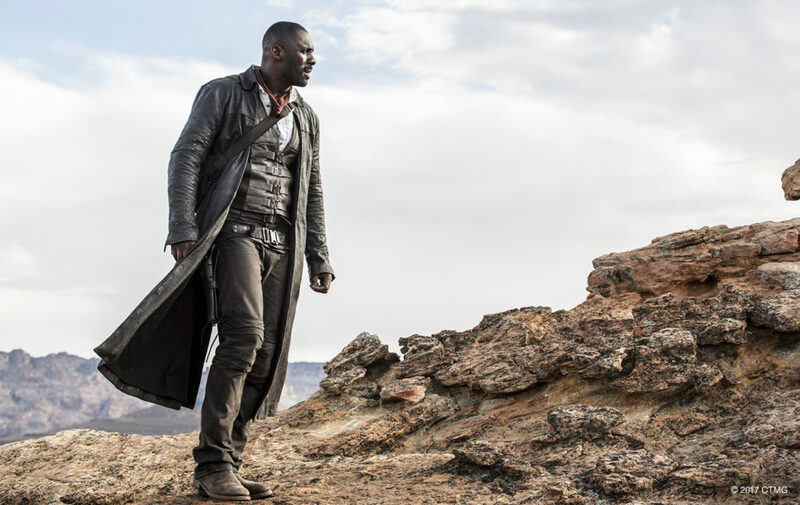 Idris Elba has signed on to work on the series and Tom Taylor is expected to return as Jake Chambers. Also, feature director Nikolaj Arcel has previously confirmed that he was involved with writing the pilot. Does this mean the overall storyline will feature flashbacks and time jumps? Or will it be something else, entirely? In the novels, Roland was about 14 or 15 years old in Book 4, and around 12 to 15 years old in the flashbacks. With an origin story featuring his training to become The Gunslinger, his first encounter with the Man in Black and his first love interest, will Roland’s character most likely be written to be older in the TV series? I guess we’ll just have to wait in order to find out. At the moment, not many details have been leaked about the upcoming show. But this much is known: As of this writing, the big-screen adaptation didn’t fare too well at the box office. According to Box Office Mojo, it’s currently holding a $101 million worldwide box office total, balanced against an estimated $60 million production budget, which means it is close to breaking even, possibly clearing a small profit after all the promotional expenses. So, having Akiva Goldsman involved with the project seems questionable, at the least. He was the main credited screenwriter for the movie, which left many fans unimpressed or disappointed. Unhappy with the movie’s changes of storyline and character elements, fans were hoping for a true adaptation of King’s storyline. Or, maybe they actually wanted a TV series — and not a single movie — in the first place. All those books crammed into one movie that clocks in at less than two hours long left out a lot of details. What other changes can we expect in the TV show? Goldsman knows, as an executive producer of the upcoming TV show. Until Mazzara makes an official statement, we can only wait. Or re-read King’s books. Or keep on watching other small-screen adaptations. Here’s to hoping the TV series will stay true to the original characters, as found in King’s popular books.